In the final trailer for the new season of Marvel’s Iron Fist, which premieres globally on Netflix September 7th, we’re given a closer look at the battle of wills that’s about to take place on the streets of New York. Danny Rand (Finn Jones), alongside his partner Colleen Wing (Jessica Henwick), is trying to keep the peace among the many warring gangs of New York. With the help of Misty Knight (Simone Missick), they discover that the crime ring in the city goes far deeper than they had ever anticipated and hanging up their swords is no longer an option. Meanwhile, Danny’s former best friend Davos returns to New York City after finding his home of K’un-Lun gone. Blaming Danny for K’un-Lun’s tragic fate, Davos swears to avenge their lost city, and reignites a sibling rivalry of sorts over the duties linked with wielding the legendary Iron Fist. About Marvel’s Iron Fist Season 2: Danny Rand, the Immortal Iron Fist, has left behind the day-to-day oversight of Rand Enterprises, throwing himself into his mission to defend New York City. But when an old friend returns with twisted intentions, it threatens the fragile peace Danny maintains within his community, and within himself. 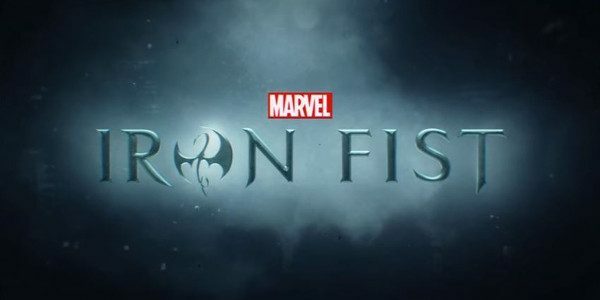 Credits: Marvel’s Iron Fist Season 2 stars Finn Jones (Danny Rand), Jessica Henwick (Colleen Wing), Sacha Dhawan (Davos), Tom Pelphrey (Ward Meachum), Jessica Stroup (Joy Meachum), Simone Missick (Misty Knight) and introduces Alice Eve (Mary Walker). Marvel’s Iron Fist Season 2 is produced for Netflix by Marvel Television and ABC Studios. All 10 original episodes of Marvel’s Iron Fist, Season 2 will premiere exclusively on Netflix.